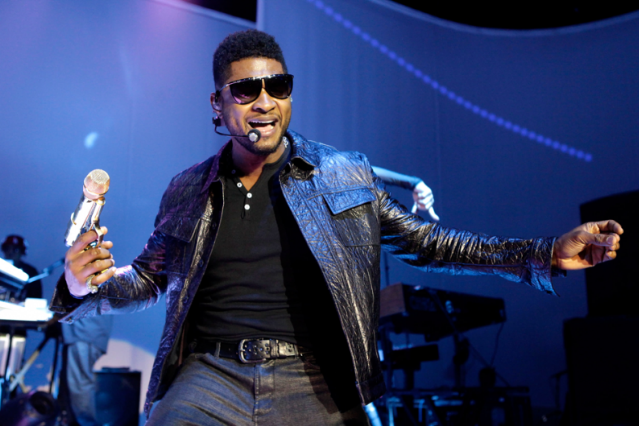 On June 12, Usher is set to release his seventh album, Looking for Myself, but he might be looking in some of the wrong places. Rather than gaze into a mirror (or take some time off for contemplation and self-discovery), the smooth singer teamed up earlier this year with producer Diplo for the swooning electro-pop tease “Climax,” which recently hit No. 1 on Billboard’s R&B chart, spawned various remixes, and set itself up as a likely entry on more than a few best-songs-of-2012 lists. Now via Miss Info comes word that Ush will be veering off in two other directions on his next pair of Looking for Myself singles. If part of the pleasure of “Climax” is that it never quite reaches a climax, then maybe the idea of Usher’s new album is that he doesn’t necessarily have any single “self” — the man is a protean figure? That’s the most favorable interpretation we can come up with for freshly surfaced “Scream,” which isn’t bad, exactly, far from it, but is as disappointing as just about anything would be after the actually-scream-worthy silkiness of “Climax.” A relatively generic Eurodance-style go-all-night party-popper that could just as easily have been lent to Bieber if it weren’t for demographic marketing, “Scream” does everything it needs to do to thump and bottle-pop its way onto the speakers at your Top 40 radio station and that skeezy club you always regret visiting. But it’s also a reminder that Usher, unlike, say Drake, is perfectly comfortable collaborating with David Guetta. On the way later this week is another Usher single, “Let Me See,” which will reportedly feature Rick Ross and be more “urban friendly.” Usher’s hip-hop collaborations span from Jermaine Dupri’s overlooked remix of 1997’s “You Make Me Wanna…” to 2008’s massive Young Jeezy team-up “Love in This Club,” not to mention 2004-dominating crunk smash “Yeah!”, with Lil Jon and Ludacris. So “Let Me See” has plenty of fine precedents. But as we’re pretty sure still-charting stiffs Train once sang, don’t forget about us, Ush, while you’re looking for yourself out there. There was also something about a soy latte.